MATES … Mick Fanning and Julian Wilson in a file picture hanging out in Tahiti. 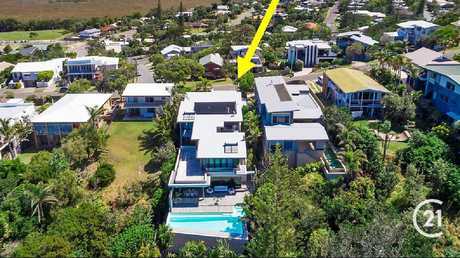 WORLD surfing number three Julian Wilson - hailed a hero for selflessly paddling to help former champ Mick Fanning after a shark attack - is selling his jawdropping Queensland home. 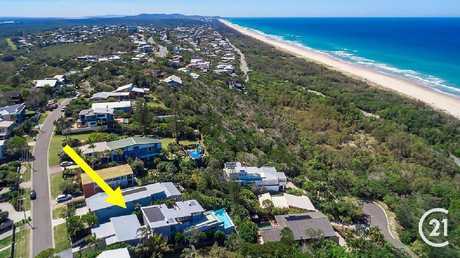 The 29-year-old pro-surfer's Peregian Beach property on the Sunshine Coast only just hit the market Thursday but has already had several private inspections with more scheduled for Friday and over the weekend. 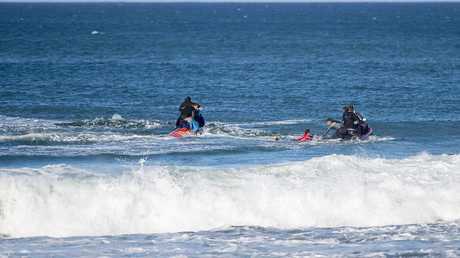 Mick Fanning of Australia (blue) and Julian Wilson of Australia (red) climbing to safety after a shark attack on Fanning at the J-Bay Open in Jeffreys Bay, South Africa on Sunday July 19, 2015. Picture: Kirstin Scholtz/World Surf League. 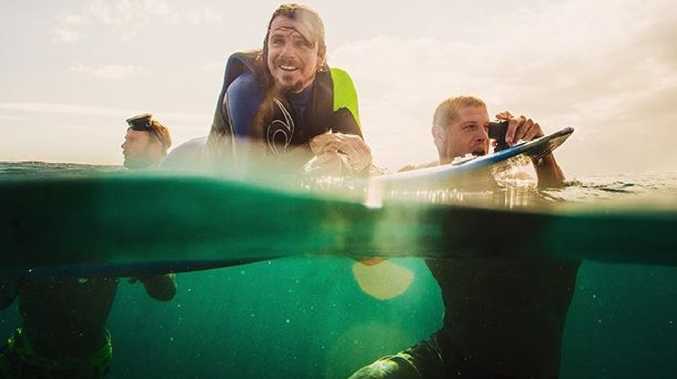 Wilson and Fanning were in the finals of the world surfing competition at J-Bay in South Africa three years ago when a great white shark famously attacked the former world champ - and was punched on the nose for its efforts. Julian Wilson hugs Mick Fanning (Blue) on shore after Fanning was attacked by a shark during the Final of the J-Bay Open in 2015. Picture: Kirstin Scholtz/World Surf League. 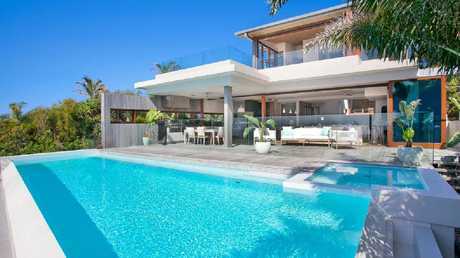 The 29-year-old world number three’s stunning home at 31 Pelican Street, Peregian Beach, hit the market on Thursday. Wilson, a Coolum Beach native who grew up across the beaches along the coastline there, owns an award-winning home designed by renowned Noosa architect Tim Ditchfield. 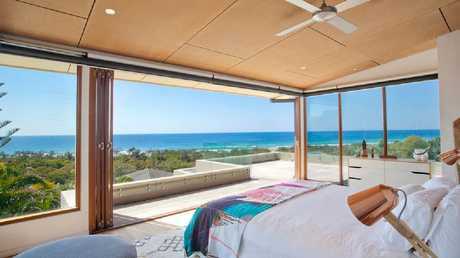 It was described as "a master class in coastal luxe" and became the Australian Institute of Architects' Sunshine Coast House of the Year in 2009. Julian Wilson’s “office” with surfboards and trophies. Stunning view from the master suite. Wilson's four bedroom, three bathroom home has hit the market for sale by negotiation, with agents Rachel Sellman and Mike Hay of Century 21 Conolly Hay Group open to offers over $4 million. "He grew here so he's got a great affiliation with the area," Ms Sellman said of the home's famous owner. 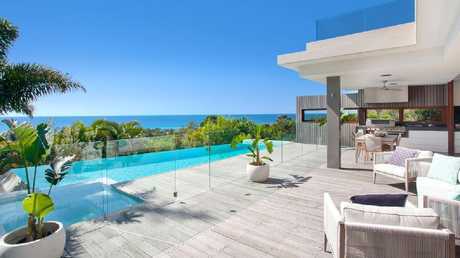 The home was designed by renowned Noosa architect Tim Ditchfield to make the most of the location. Loads of room to store prized boards plus parking for three vehicles. She said the market for luxury homes was very hot across the Sunshine Coast-Noosa area, and Peregian Beach was tightly held. "There are many people wanting to purchase here and not a lot of houses like this for sale in Peregian. A lot of people have been waiting on listings in the area, looking for a place to live and also for investment." 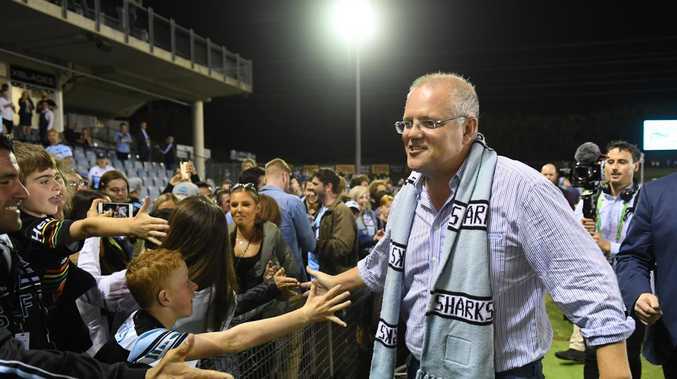 Julian Wilson and Mick Fanning were all smiles on their return to Australia after Fanning’s dramatic encounter with a shark while competing at Jeffereys Bay in South Africa. Picture. Phil Hillyard. The home was named the Sunshine Coast’s House of the Year by the Australian Institute of Architects in 2009. Wilson's home was on an 857 sqm block with stunning views across the ocean and beach and just 15 minutes from highly popular Hastings Street in Noosa. "It's amazing," she said of the design and the location. Wilson’s home has already had inspections with more scheduled this weekend. "We've had several people through (already) … There are people who have been following the architect for some time. He's very popular at the moment, and this being one of his best houses that he has designed, there are people that have contacted us saying they've been waiting for it to come up." The property is open for private inspections by appointment with the agents. The home has four bedrooms, three bathrooms and three car spaces. Politics Wide Bay MP says activists hypocritical in treatment of farmers.